CEM Explorer — Brownlie Design, Inc. The base module, the Discover is a microwave used in laboratories for organic chemistry research. 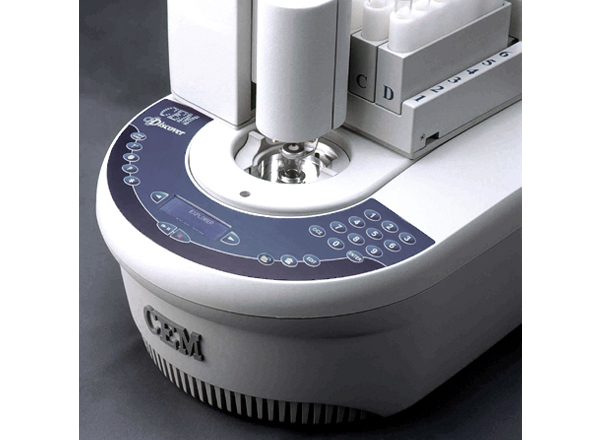 This is an important tool in pharmaceutical development, providing exact and repeatable applications of heat and pressure in precise amounts of time. Because of the potentially hazardous nature of the processes, the unit is often placed in a fume hood where space and access is limited. For this reason Brownlie Design placed the cavity, display, and controls symmetrically, as far forward as possible, to minimize reaching. Because of the experimental nature of its use, Discover was designed to be customized accepting a wide variety of glassware and accessories, such as the Explorer, for the addition of solvents and automation.